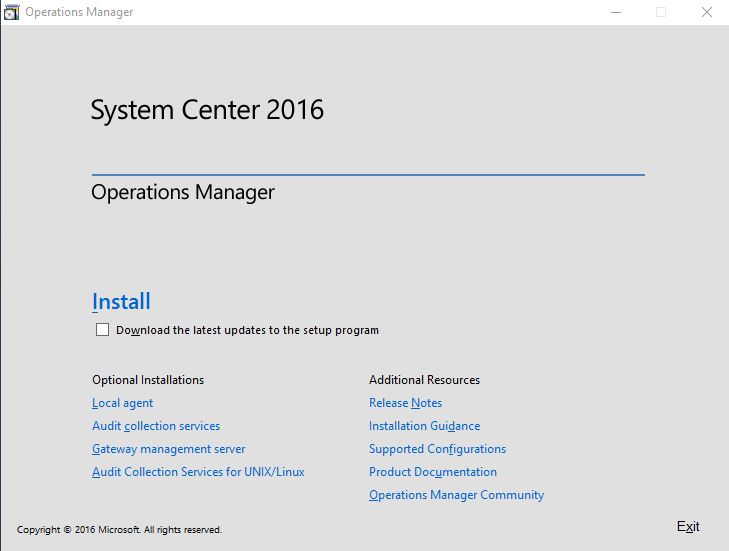 First of all I installed a brand new windows server 2016 and promoted it to a DC. 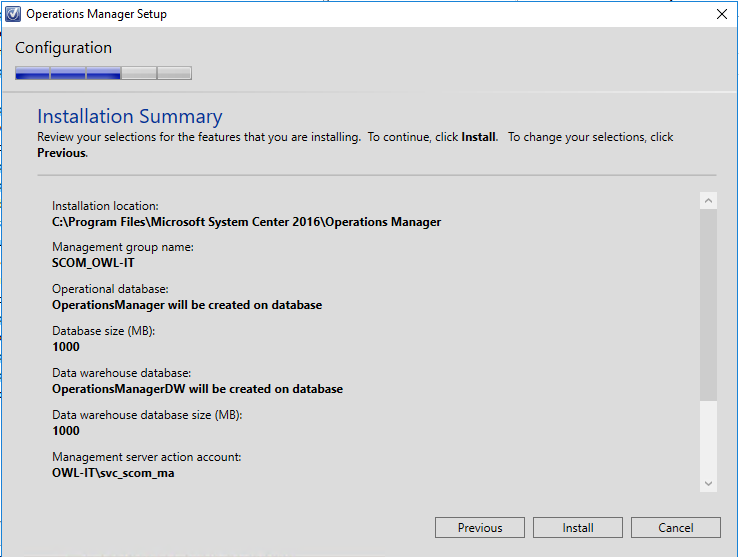 My second server will be a Database server, I always install a separate SQL server dedicated for System Center. 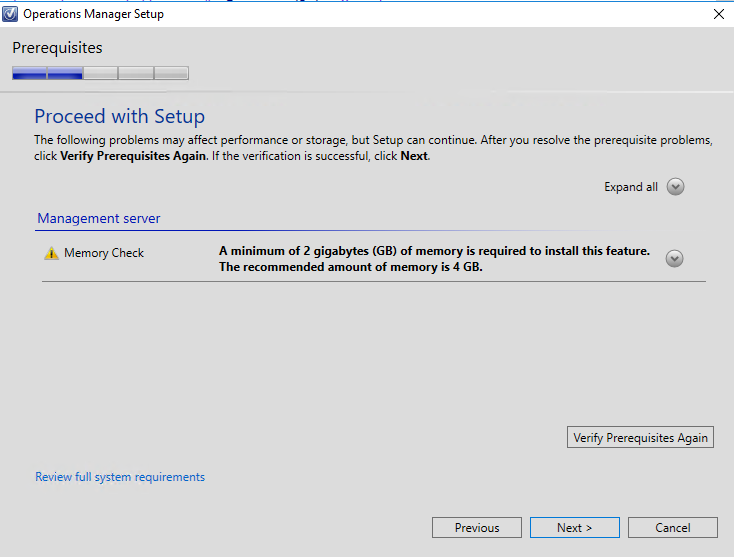 Since I don’t have tons of memory this will give me the best performance results , granting the Database server with enough memory. 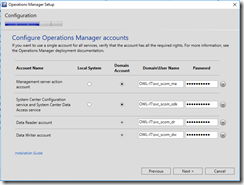 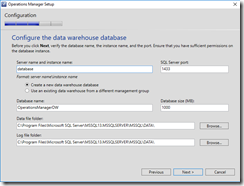 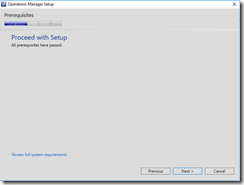 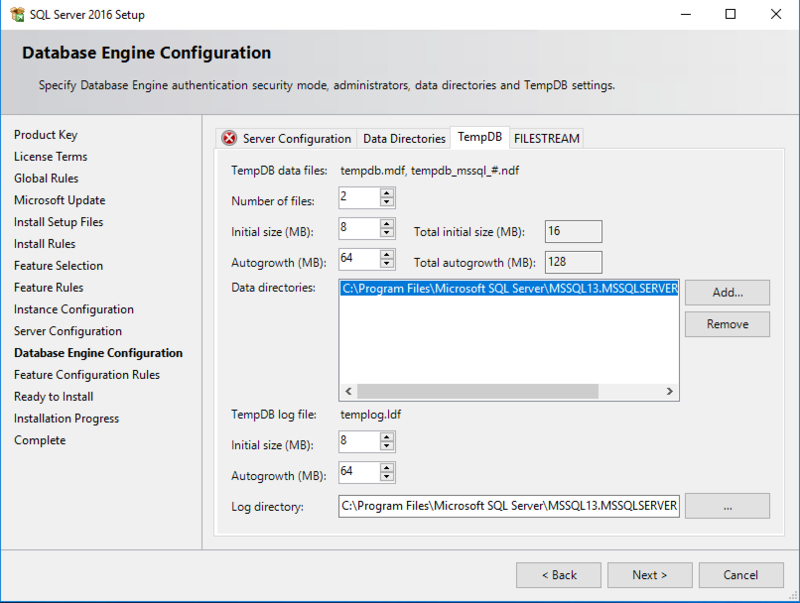 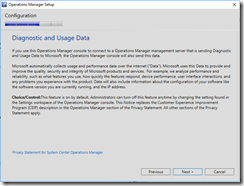 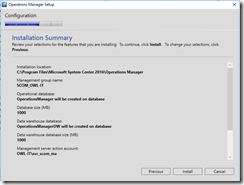 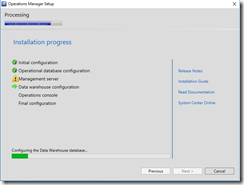 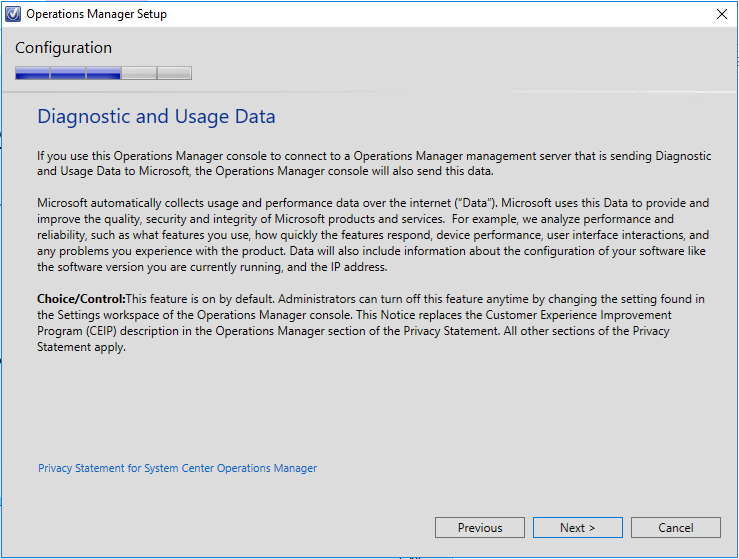 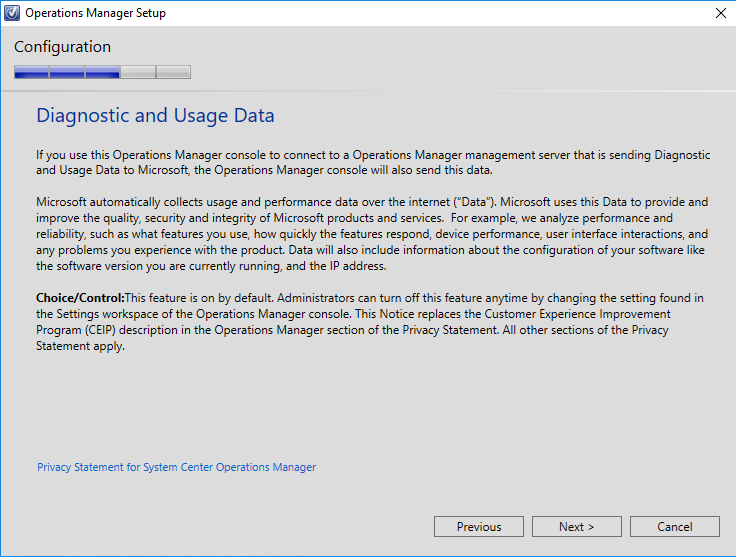 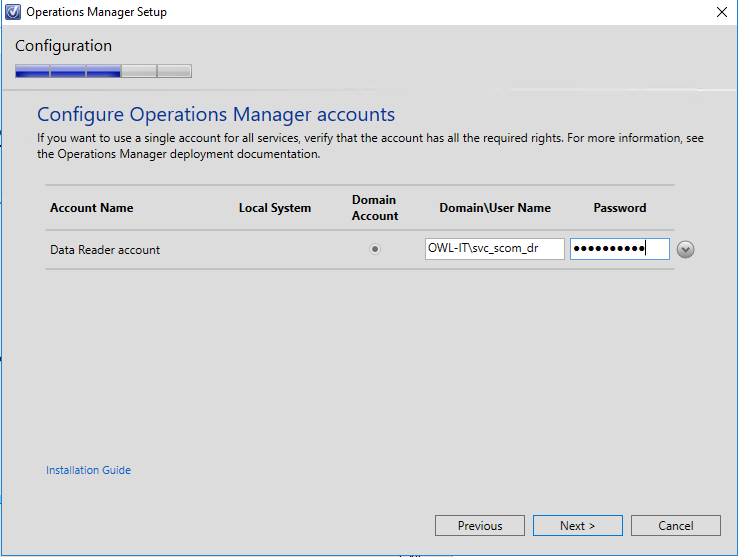 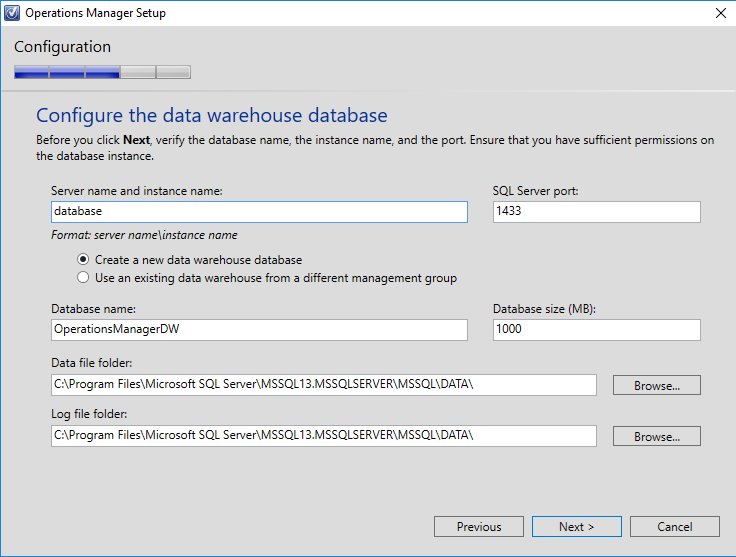 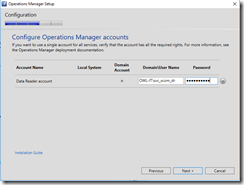 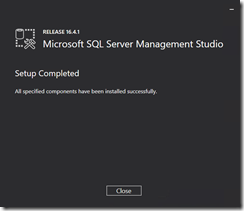 Just run the setup as you are used to do and install the correct database components for SCOM. 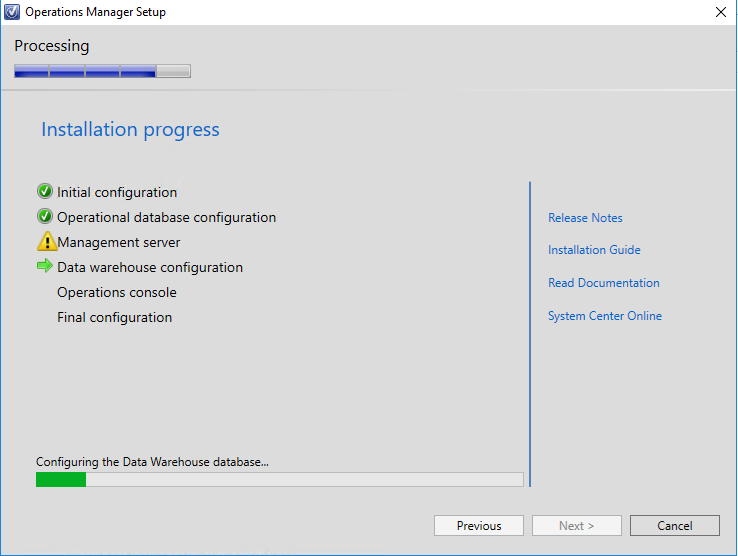 A nice added feature during installation is you can now configure your temp db’s during setup ! 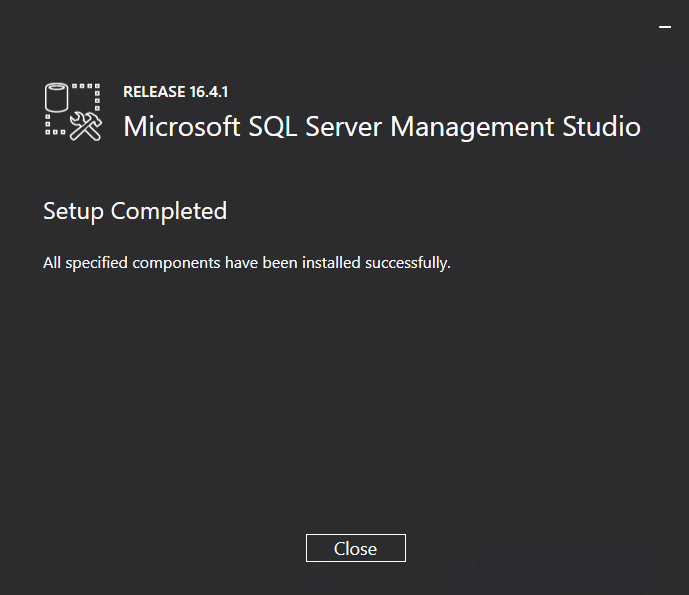 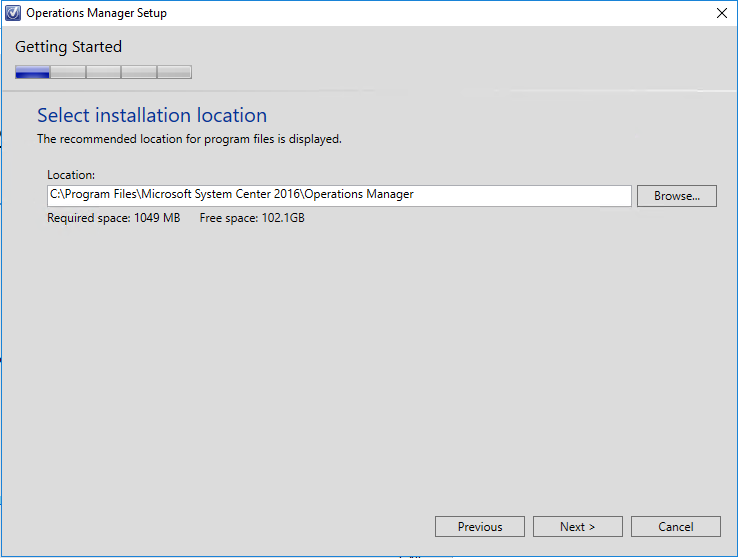 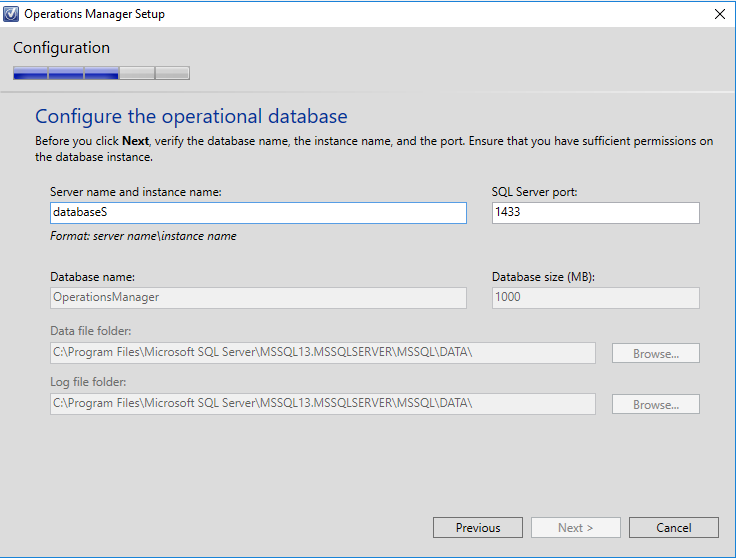 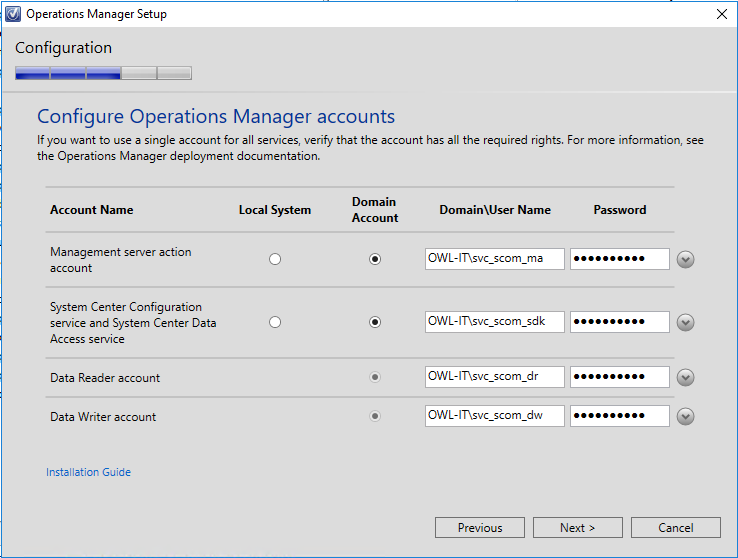 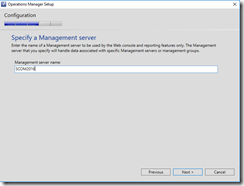 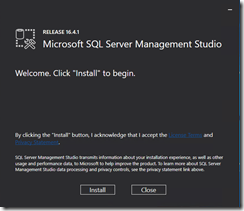 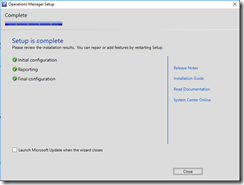 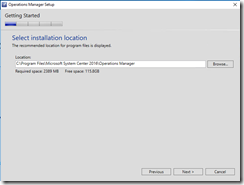 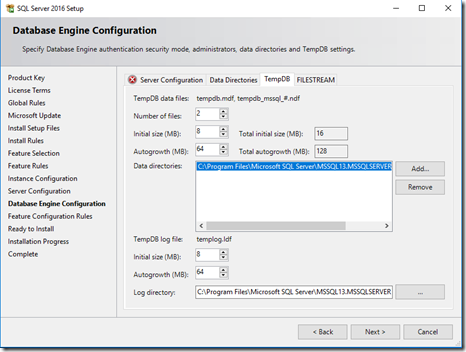 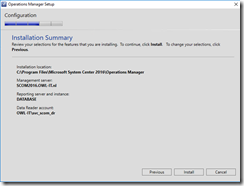 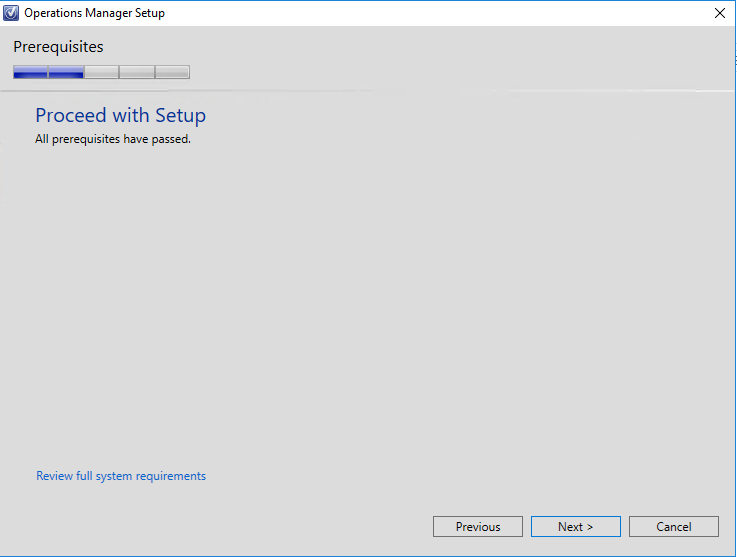 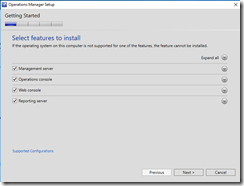 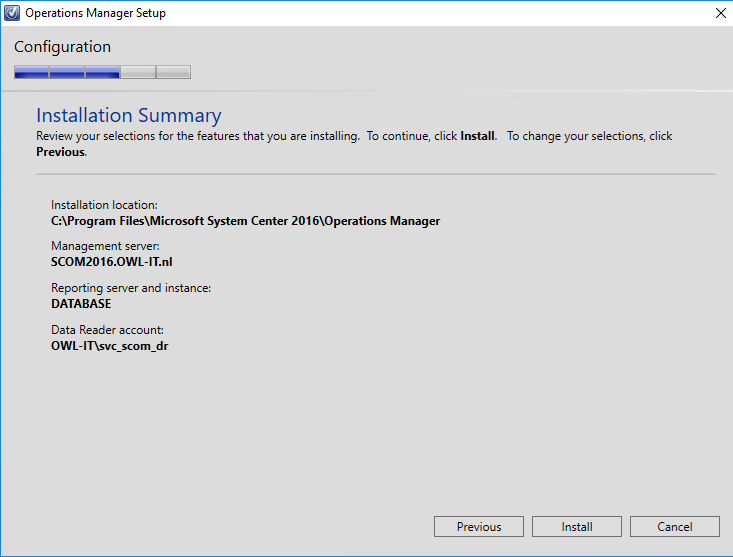 After installation there is one more thing, the SQL Server Management tools are no longer in the setup. 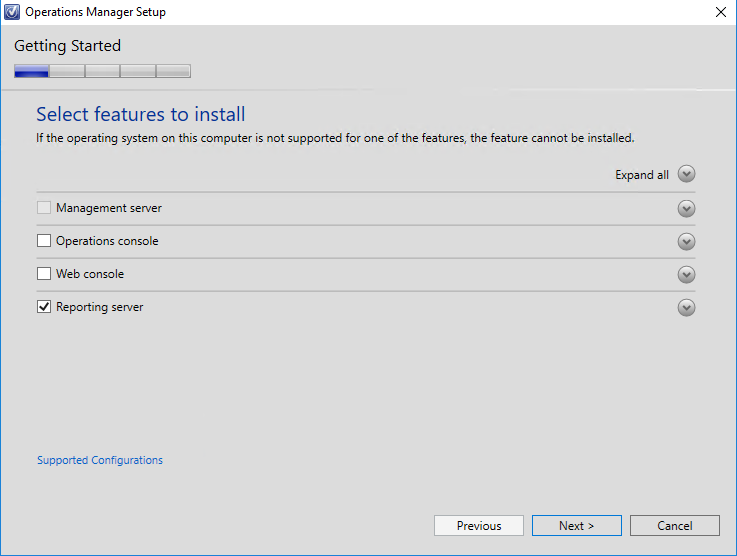 You need to download the tools and install them separately. 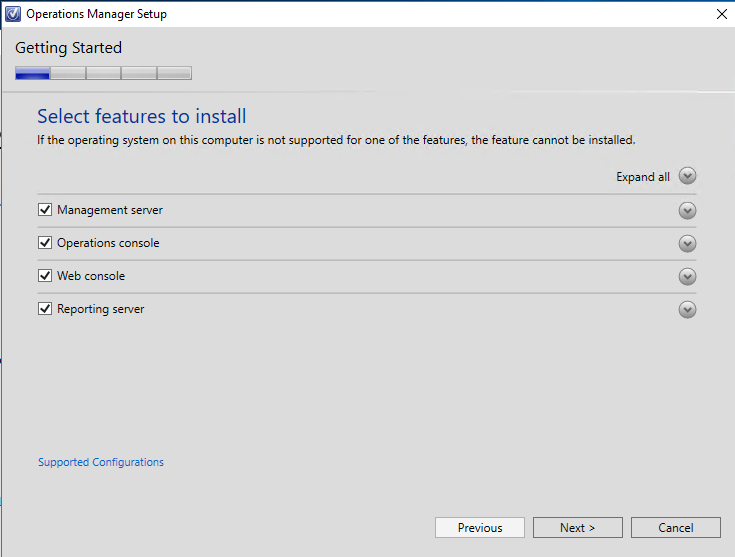 The installation is similar as we know, select your components and go ! 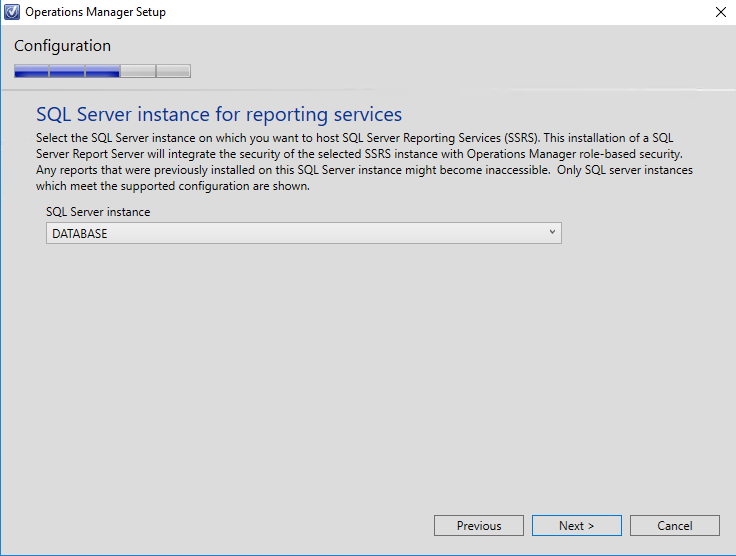 For reference on the report viewer, I have also added a PowerShell Script which installs or downloads these components for you. 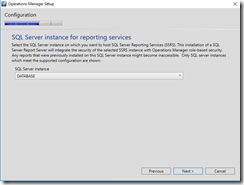 Don’t forget to configure and test the reporting websites prior to installing! 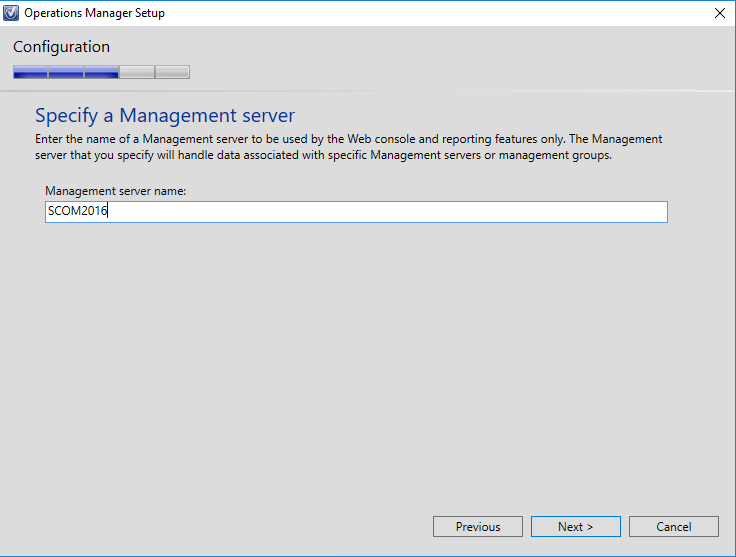 Up next the web console…. 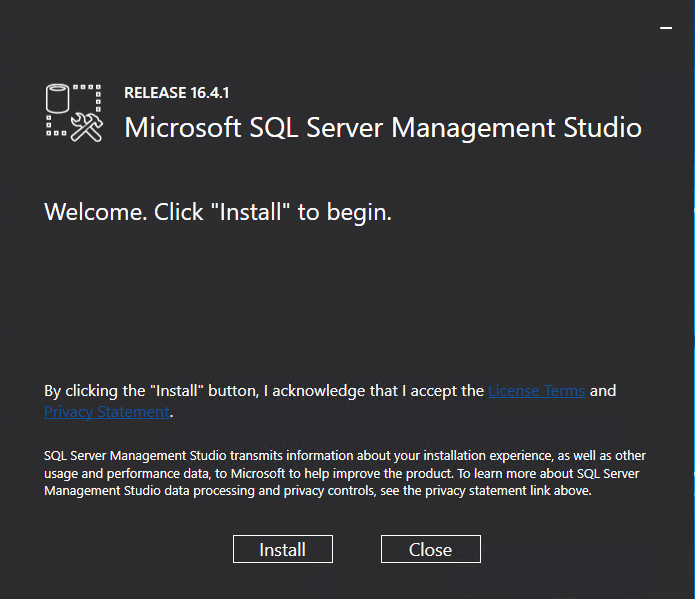 I started the installation for the web portal part. 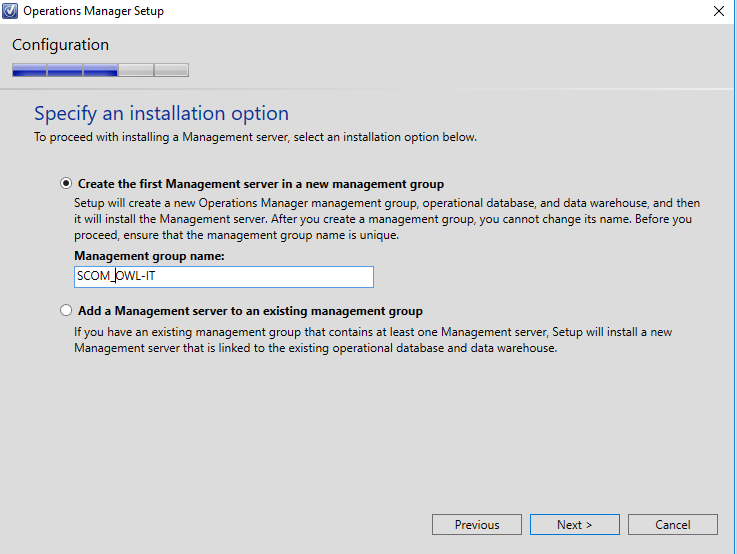 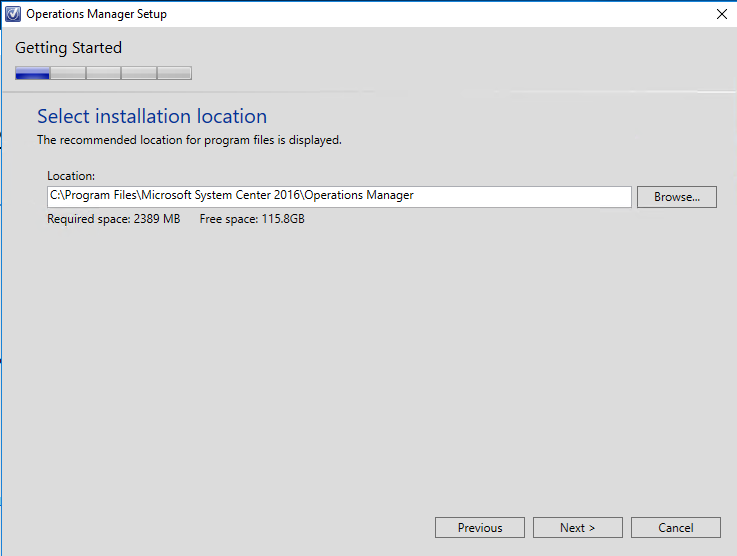 And changed it to Windows Server 2016, Where you have the option to choose if 2016 or not. 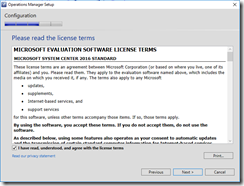 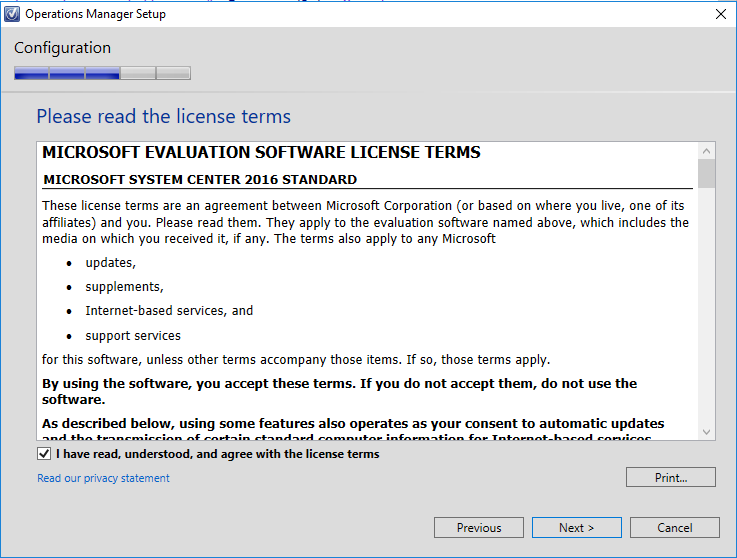 If yes it will install the 2016 prerequisites if No the “old” version of the script is used. 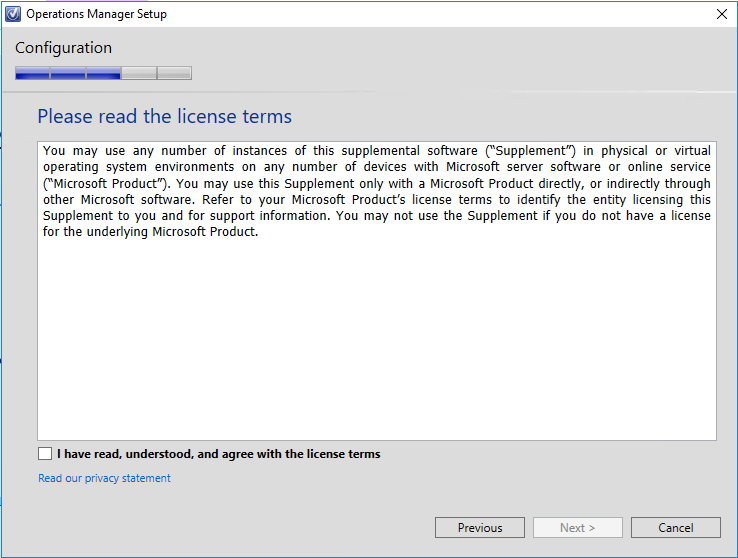 Figured since it is all based on .net framework 4.5 now no longer .net 3.5 is required, right? 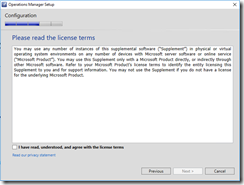 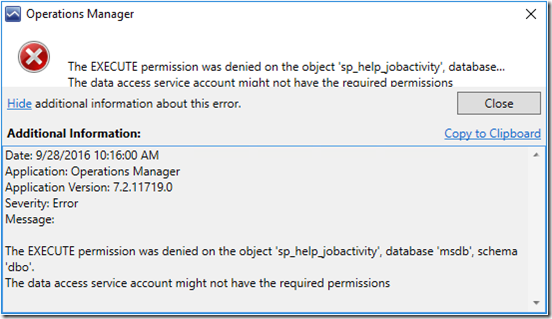 Nope still .Net Framework 3.5 required…….really !?!!? 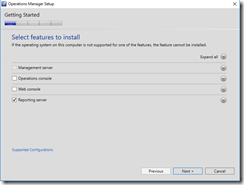 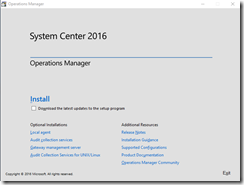 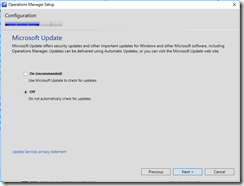 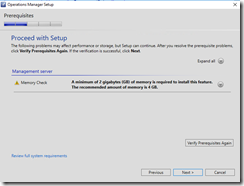 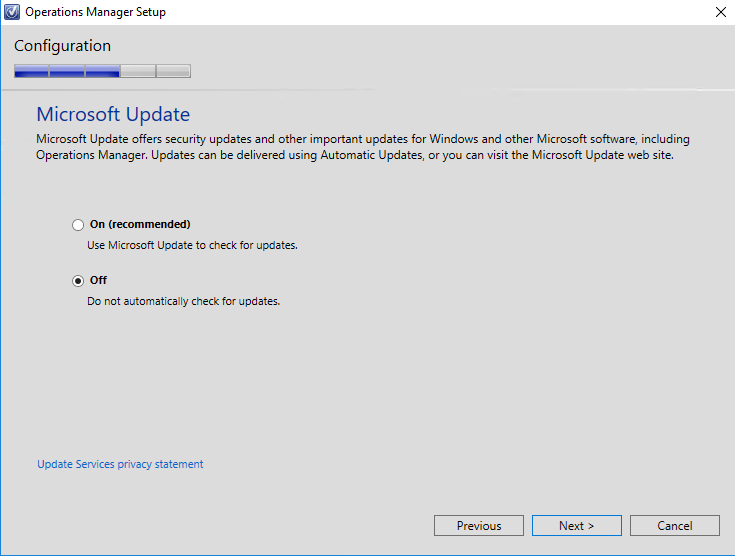 So you still need the Windows Server 2016 bits to install .net framework 3.5 just for the console. 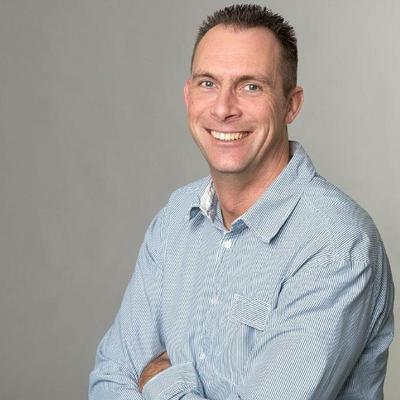 And couldn’t agree more with Marnix! 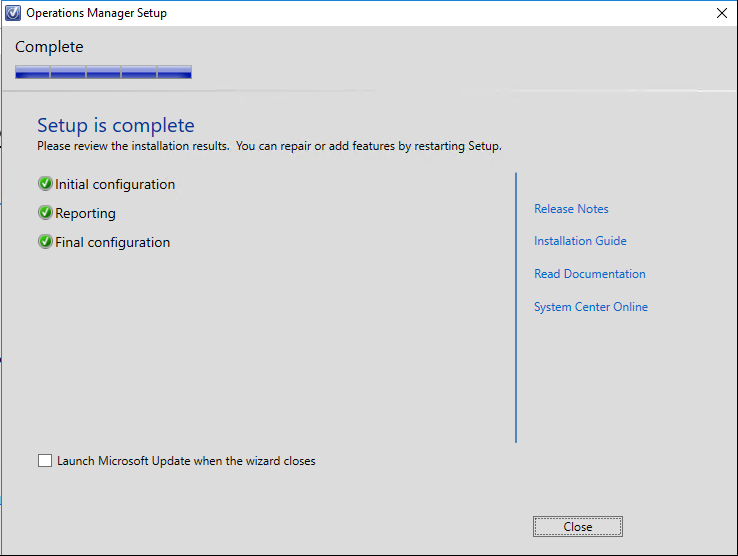 After installation I started up the console and no big changes except for the maintenance schedules. 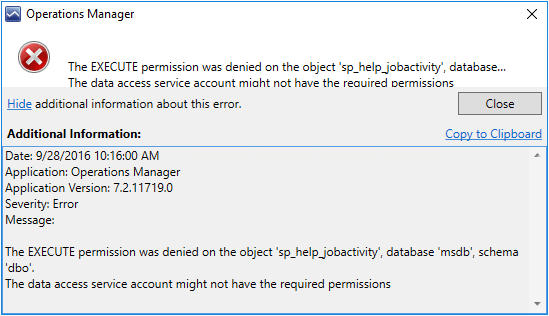 Clicking it immediately gave me an error message stating my data access account had not enough access to run a sp on the msdb database. 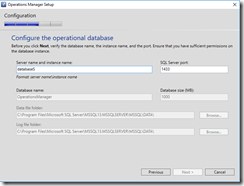 a temporary fix for this was granting the Data access account sys admin on the SQL server. 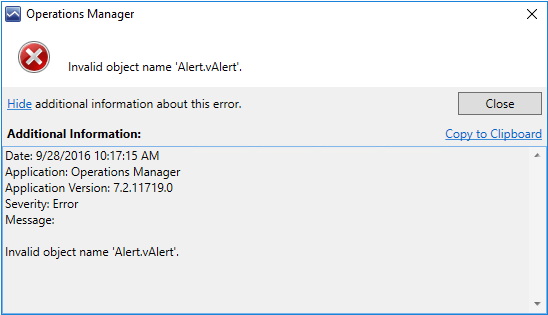 This is quick and dirty fix just for lab purposes but this should be fixed I assume in the final release version. 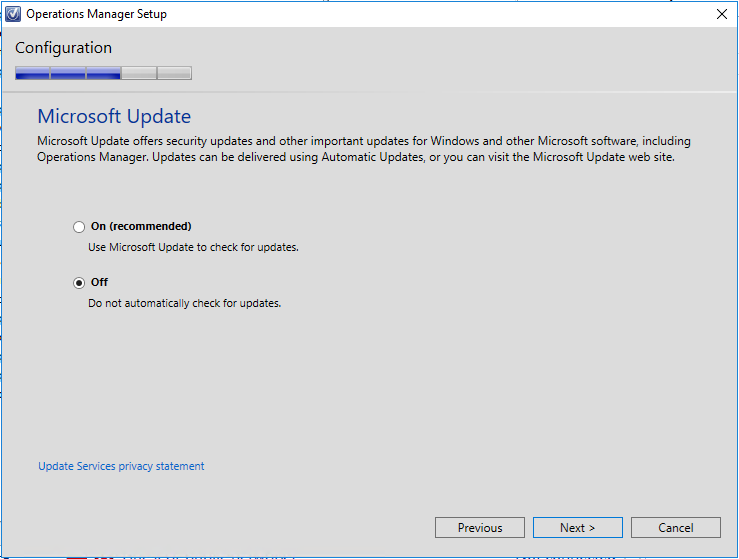 After checking the maintenance I opened the Administration console to check the management packs and other settings.